When it comes to weddings, looking unique and setting the trend is a must. And we stumbled upon this local brand in the city, that you can rely on, to deck yourself up on your D-Day. It is highly inspiring to see two sisters turn into business partners and creating something as extraordinary as a niche wedding wear brand. Chamee and Palak (names of the sisters and also the brand name) is all about ethnicity, elegance, and inspiration churned together to create awesome wedding wear for you. 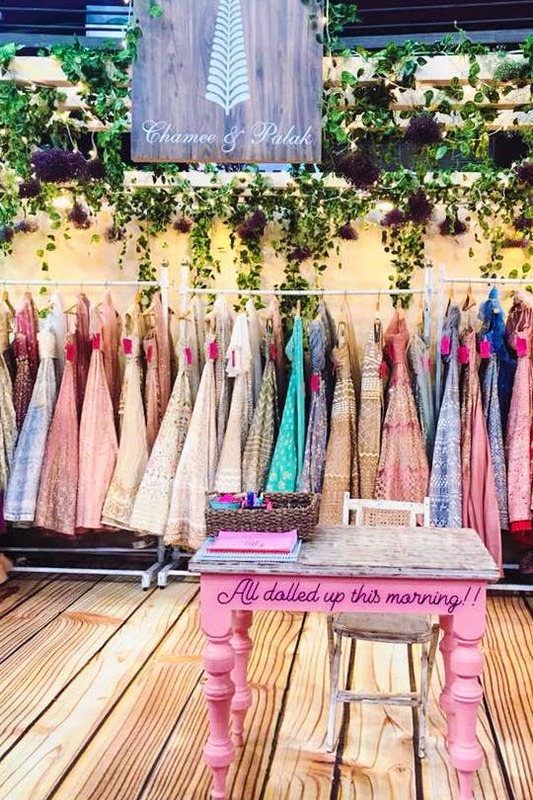 Their store is located in Vile Parle, and it houses some really pretty floral lehengas that you might want to buy for your best friend's wedding. They start at INR 30,000. And brides to be, you can get heavy lehengas with a lot of brocade work, and pastel shades starting from INR 60,000. What we really liked is the simplicity clubbed with ethnicity. Whoever said one needs to look too shiny to rock it at a wedding, was wrong. Because you can look dapper and slay it with Chamee and Palak's gorgeous lehengas too! Their pricing range is on the higher end and caters to only a particular section of buyers. However, if you're in the mood to splurge and get the best for yourself, this store is where you head. Just save up, and buy one of their floral pastel shades! Also, book an appointment in advance to get your favorite piece from the store stitched.